Dr. Duga, Dr. Feeney and Associates Pediatric Dentistry is a New Tampa dental office specializing in dentistry for children from birth through college. We provide everything from preventative dental care to cosmetic dentistry and orthodontics, including sealants, X-rays, fillings for cavities, tooth extractions, braces, Invisalign, Under Armour mouth guards, teeth whitening, and more. Our pediatric dentists will do everything possible to help our patients enjoy a lifetime of beautiful smiles, and we welcome the opportunity to care for your child’s total dental needs. Many of us grew up with dental disease being as common as a cold. Today, thanks to advances in knowledge and preventative care, the use of fluoride and sealants, and increased education, what was once inevitable is now avoidable. Call our North Tampa office today at (813) 631-1100 to schedule an appointment. It happens in a flash, and the memory of it can last forever. It cannot be begged, borrowed or stolen, and it is of no earthly good to anyone until it's given away! So if in your hurry, you run across someone too weary to smile..leave one of yours. No one needs a smile as much as He who has none to give. Each child is unique, and we provide dental care in an individualized and compassionate manner. We utilize advanced technology and sterilization techniques in order to provide a safe, clean, and comfortable environment for our patients. 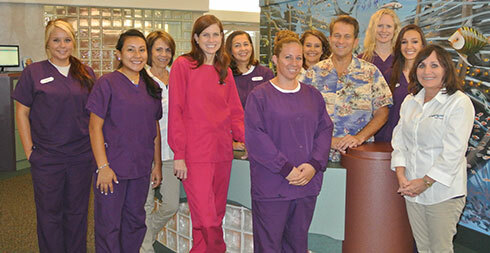 We have an exceptional staff dedicated to providing gentle and comprehensive dental care for each child. This includes allowing patients to have a parent with them during their entire appointment. We encourage each member of our practice and those in our lives to laugh, play, and enjoy life. Dr. Paul H. Duga and Dr. Shawna Adams-Feeney are pediatric dentists with orthodontics in Tampa, FL. They also serve infants, children, and teens in Wesley Chapel, Lutz, Temple Terrace and Land O' Lakes.